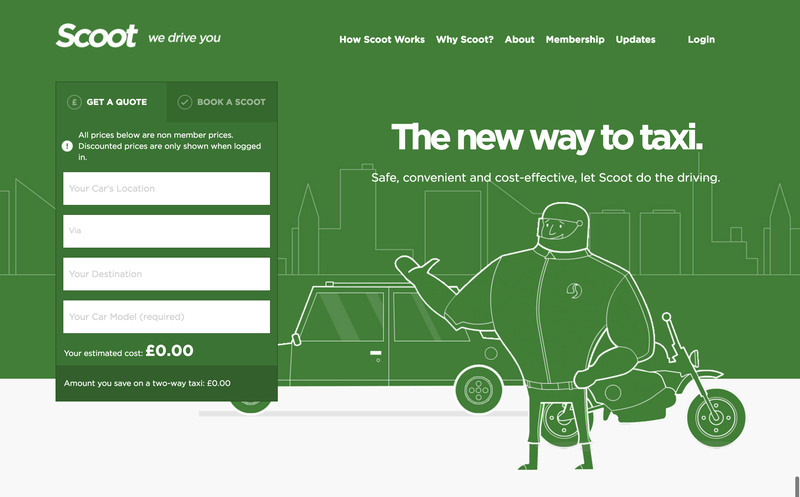 This site was designed to advertise a taxi service and allow customers to book online. 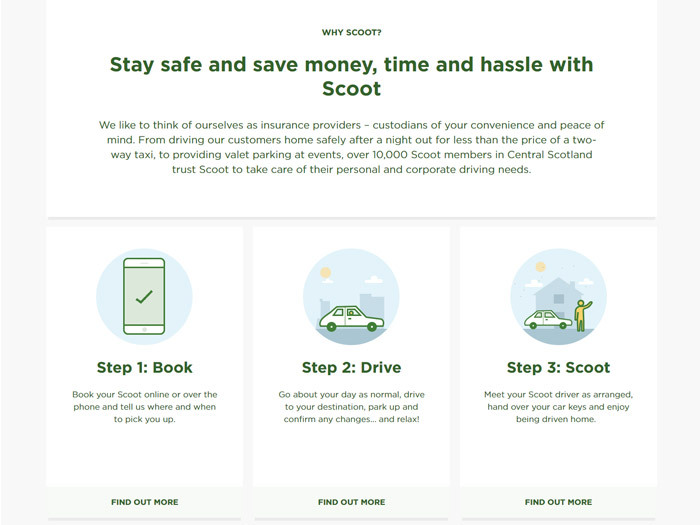 A customer books a Scoot to come and drive them home in their own car with the scooter in the boot of the car. 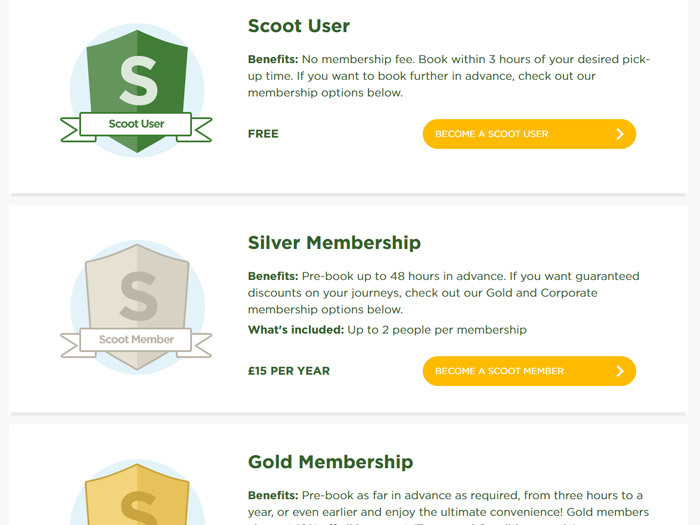 The site has a really bright simplistic design designed to explain how Scoot works in the simplest terms and allow customers to book easily. Layout wise this site has a really clear grid and was great fun to develop. It has a consistant style throughout making it easy to reuse chunks of styling.  The site has a lot of content, most of which is controlled through sub pages with sub navigation. 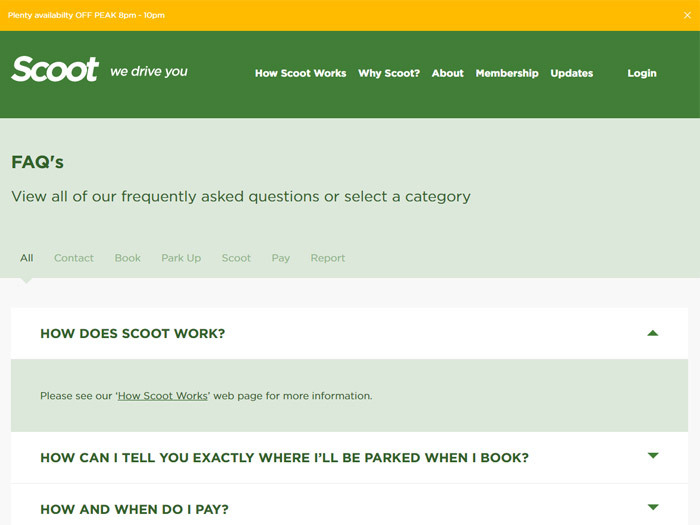 The faq's section uses an accordion to show all of the questions and answers clearly, while the Why Scoot page uses tabs. I was involved with coding the front-end of this site while another developer carried out the booking system integration. I think it is one of my favourite sites. I really enjoyed working through the PSD's and figuring out what chunks of code and styling could be used else where.